Rapper Meek Mill dropped out of a White House prison reform summit at the last minute on Friday, citing concern that his presence would turn the event into a spectacle instead of a starting point for change. I was originally scheduled to be part of a panel on Prison Reform at the White House to help shed light on the issues within the system. Unfortunately, the focus turned to the President and Myself which concerned me that it might take away from creating a positive result from today’s discussions. As a result, I decided not to attend so that the focus would be solely on fixing our prison system. Most importantIy I remain fully committed to improving our criminal justice system. In 2017, Meek was sentenced to two to four years in state prison after a judge ruled that a fight at an airport and popping wheelies during a video shoot violated his probation from an earlier drug and gun case. 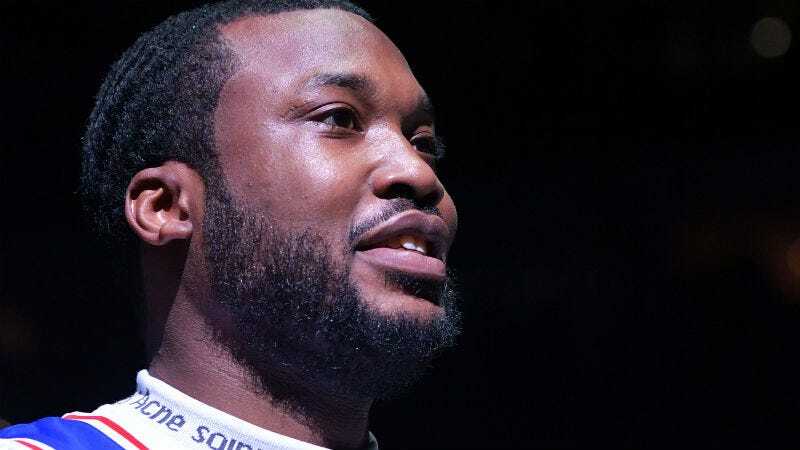 The Pennsylvania Supreme Court overruled the judge’s earlier decision to deny Meek’s bail, which he then posted after a five-month prison stay. Acknowledging the financial resources that allowed him to cover his bail, Meek has since become an advocate for prison reform. TMZ reported that Jay-Z also helped convinced Meek to ditch the event because “meeting with Trump would be problematic for his image and for the cause,” but a Jay-Z source later denied that claim and said that Meek came to his decision after talking to several people. Whether Meek’s friends convinced him to stay as far away from Trump as possible or this was a purely selfless move on Meek’s part, it’s safe to say it was the right choice. Jared Kushner is probably real sad though. Staff writer, mint chocolate hater.